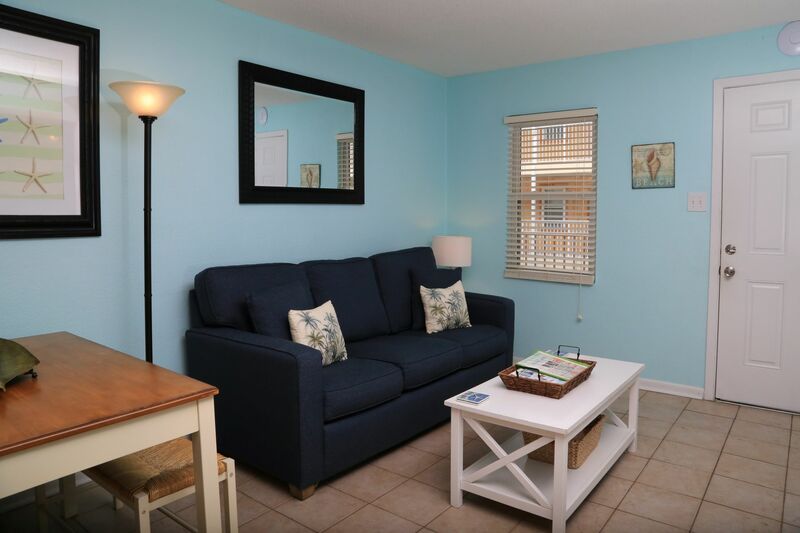 Welcome to Sunrise Village 104! 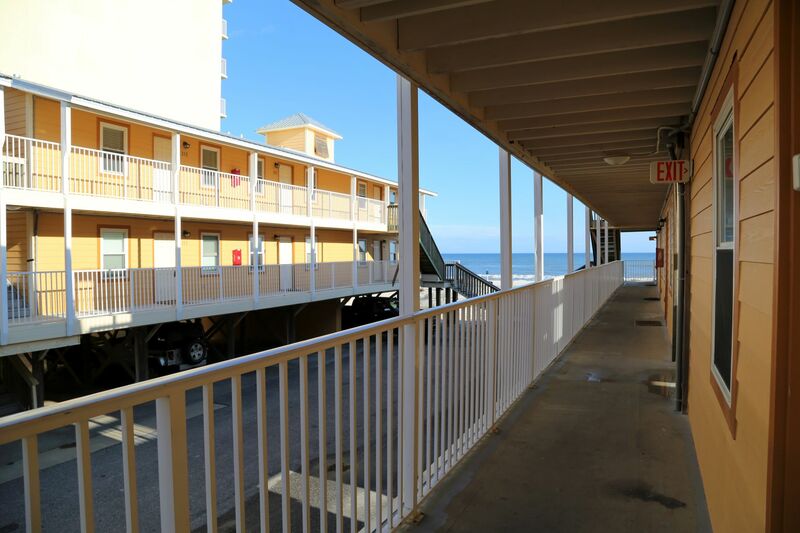 Enjoy the sunrise and sunset from the breezeway or beach at Sunrise Village. 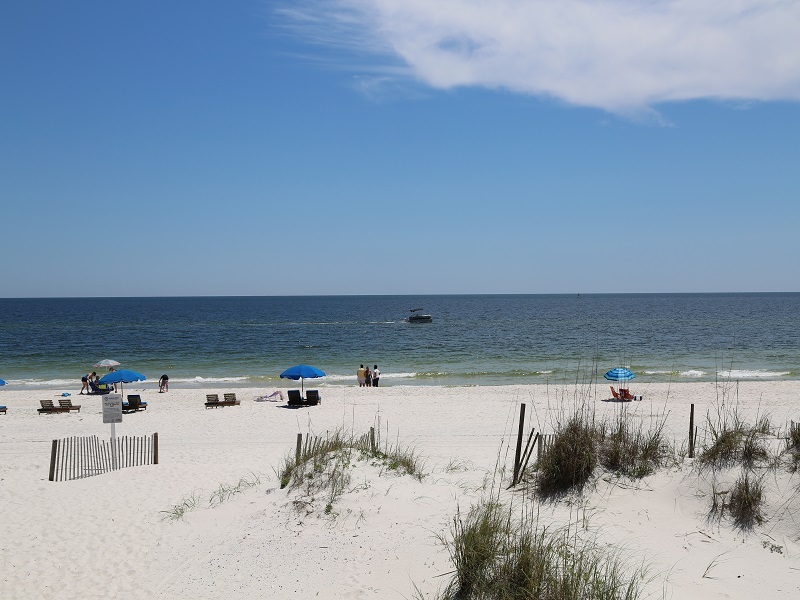 Unit 104 is literally steps from the sugar white sand and emerald water! Watch NETFLIX, HULU, VUDU and much more on the 2 new Ultra HD 43" SMART TVs in both the Living Room & bunk bedroom. If you have any premium account, you can view it at unit 104 now! 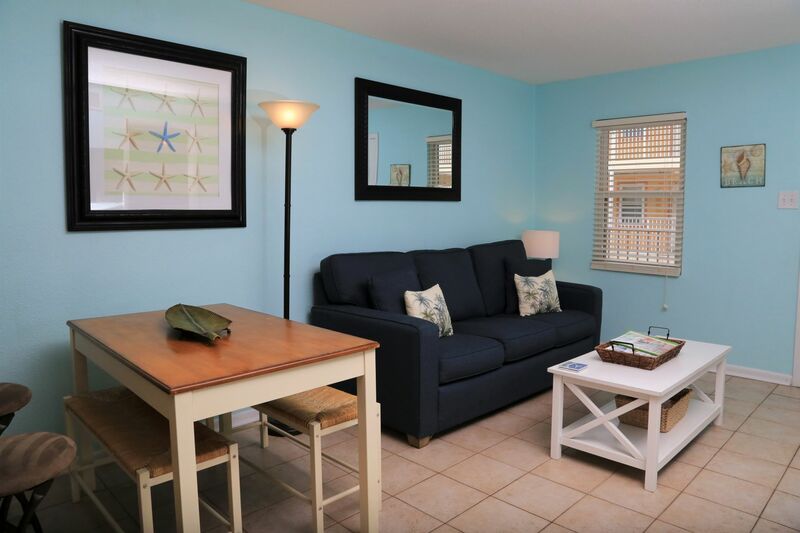 Two bedroom, one bath vacation rental accommodates up to 6 guests with recently upgraded sleeper sofa in living room. 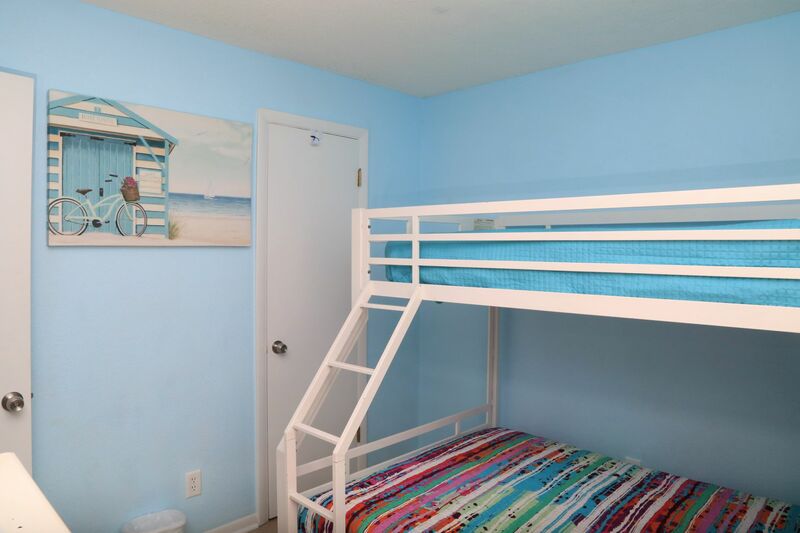 The bright, coastal hued walls create a great balance of fun yet relaxing vibes for your beach retreat. 'CubieBlue' USB/Bluetooth speaker charging dock/alarm clocks in both bedrooms (2); great for charging multiple devices! 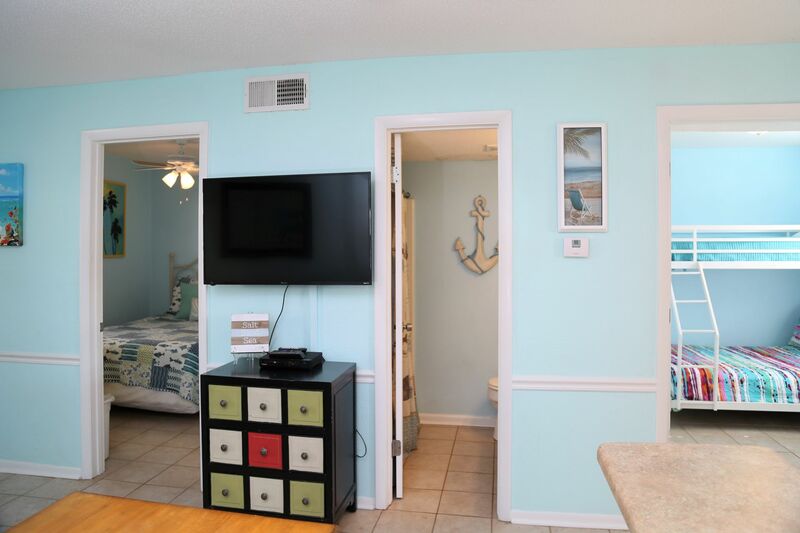 Wall mounted TVs in every room. USB Charging outlet at kitchen bar area too! 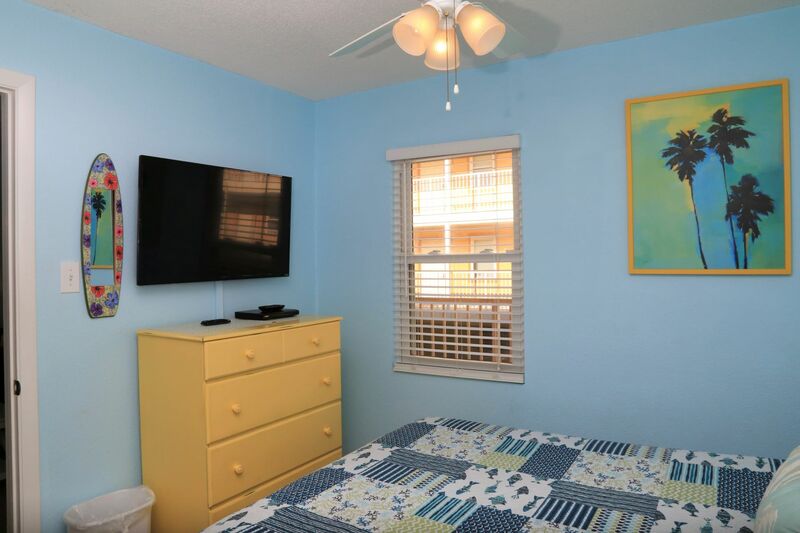 43" Ultra HD SMART TV with DVD in living room, Also 43" SMART TV in bunk room too, with a 42" Big screen in queen room. 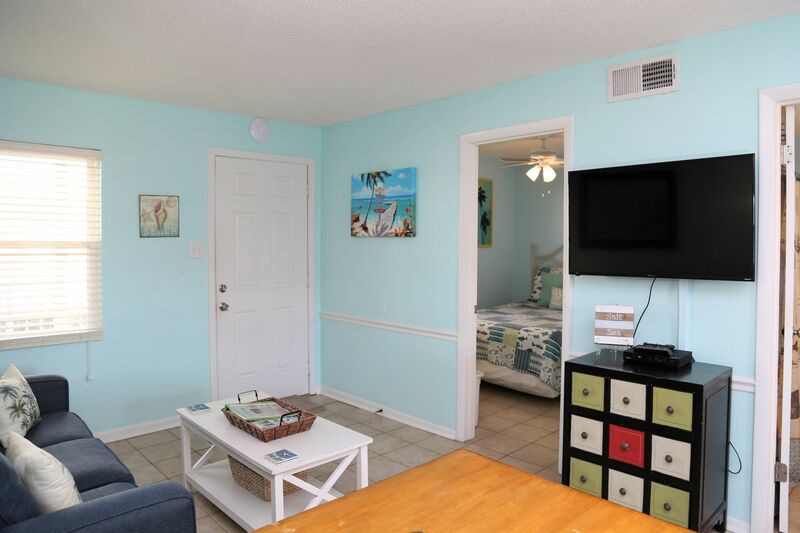 All three rooms have DVD players. Parking for two cars directly under this first floor condo. 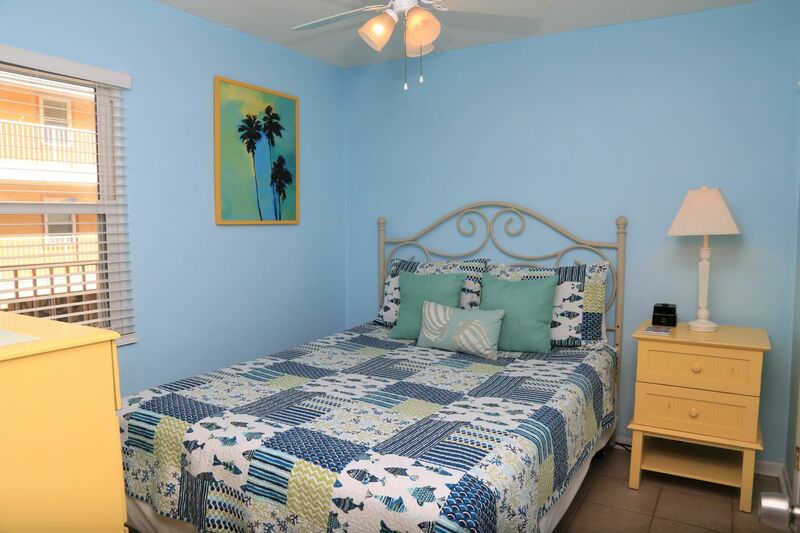 No private balcony, but large breezeway for seating, just steps from the white sand beach. 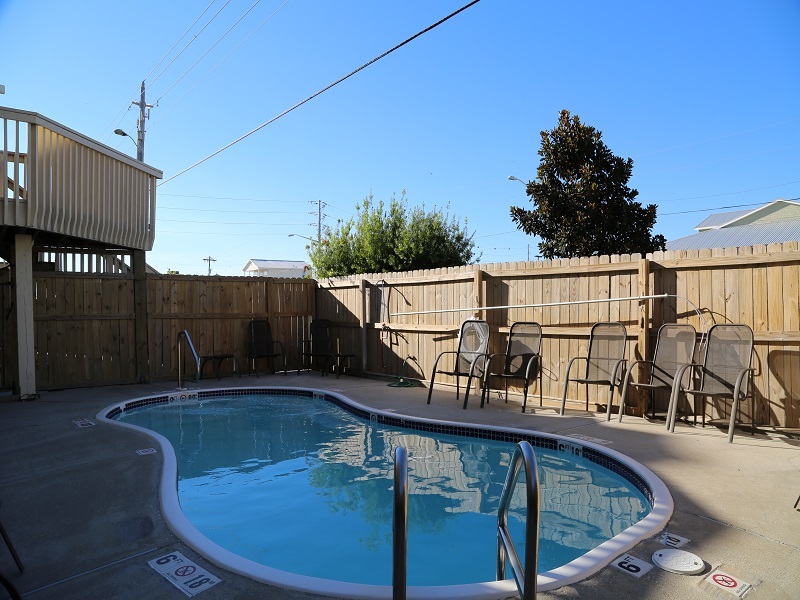 Complex also has a small pool. Convenience store/beach mart with restaurant and ice cream shop directly across the street. Grilling area also (no grills provided). Non-Smoking Unit. Oversize vehicles will not fit in the parking spot. Trailers, high top vans, boats, etc are not allowed on the premises. Vans with roof racks or taller vehicles with roof racks will need to have racks removed to fit in parking spaces. 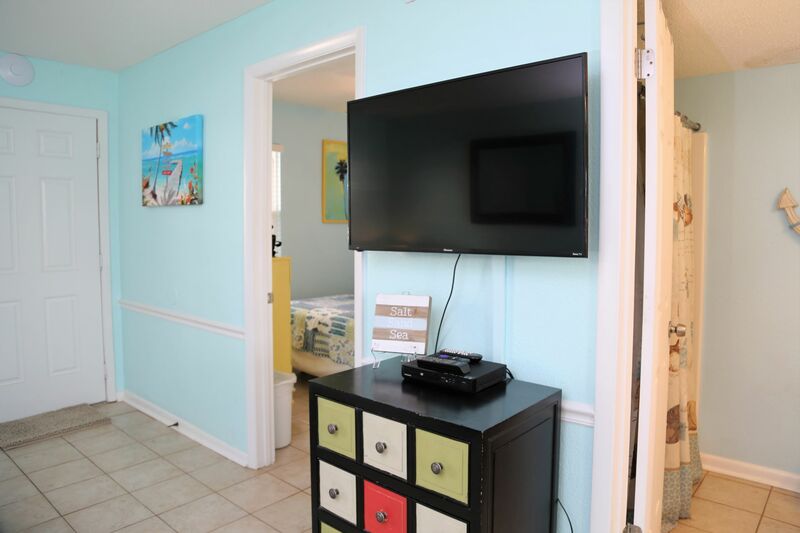 Large, flat screen Smart TV located in the living room. View from breezeway by the entrance of 104. 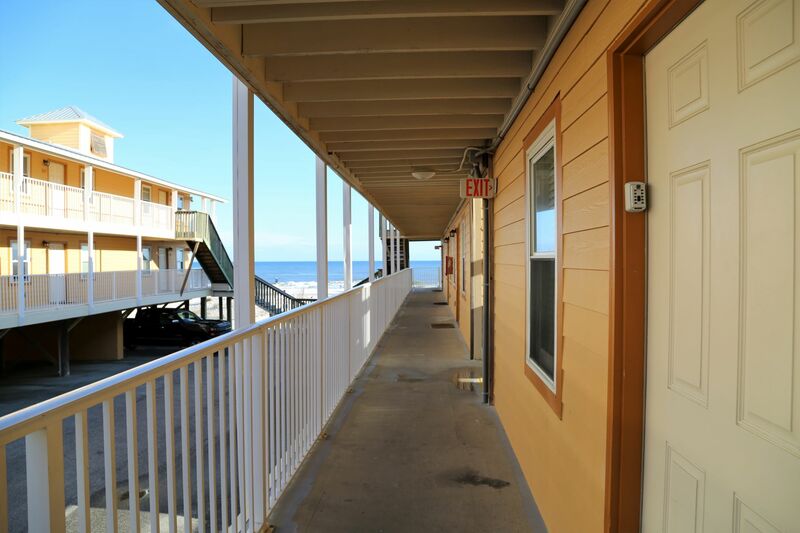 Breezeway leads right to the beach, just steps from your door! 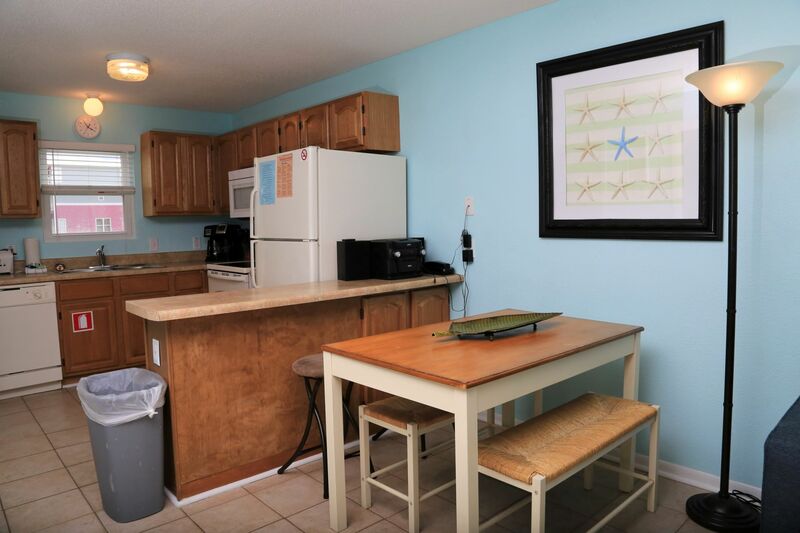 View of living / dining / kitchen. 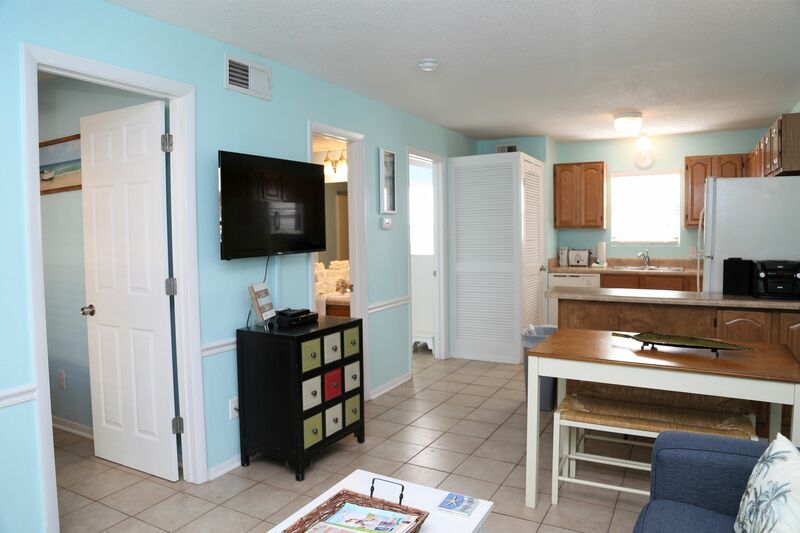 The kitchen island offers extra counter space for prepping meals and additional seating for 2. The USB charging outlet located at the end for charging devices. 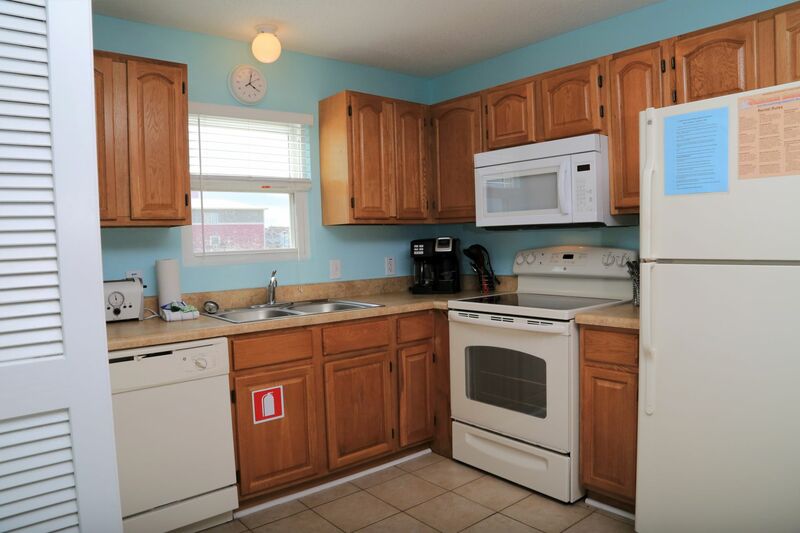 Well-equipped kitchen makes cooking in a breeze. 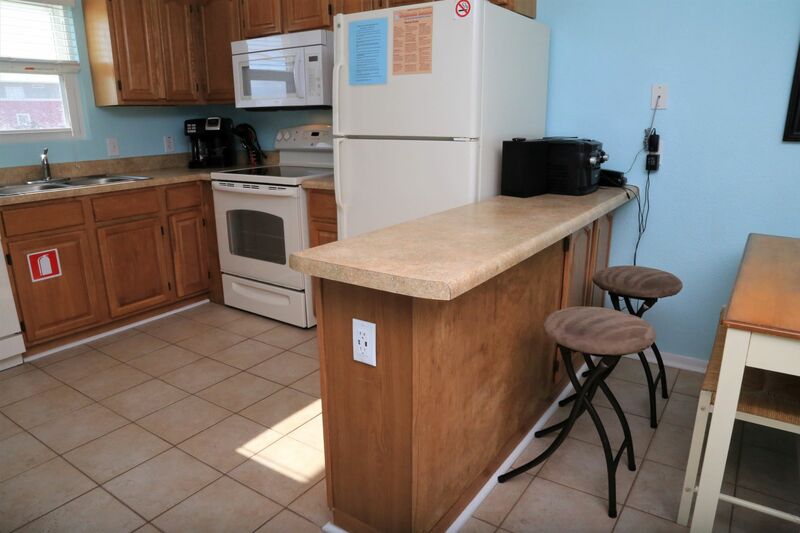 The kitchen includes all appliances with the washer dryer adjacent. 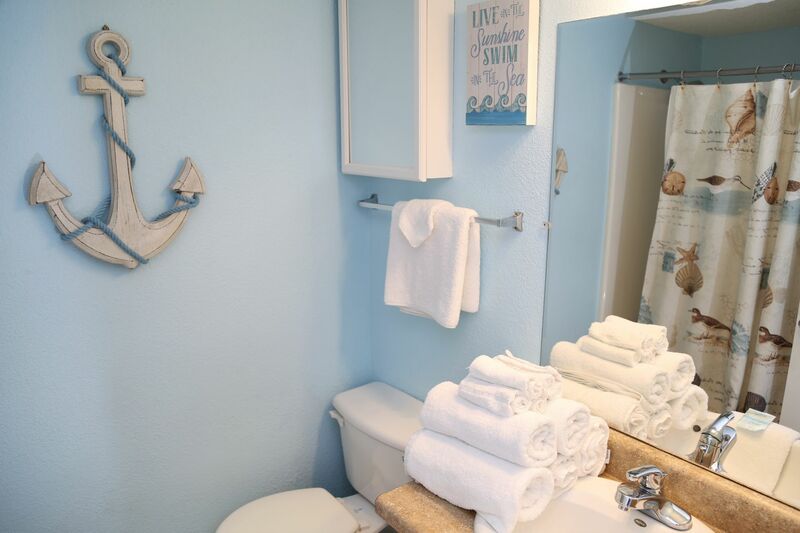 View of both bedroom and bathroom. 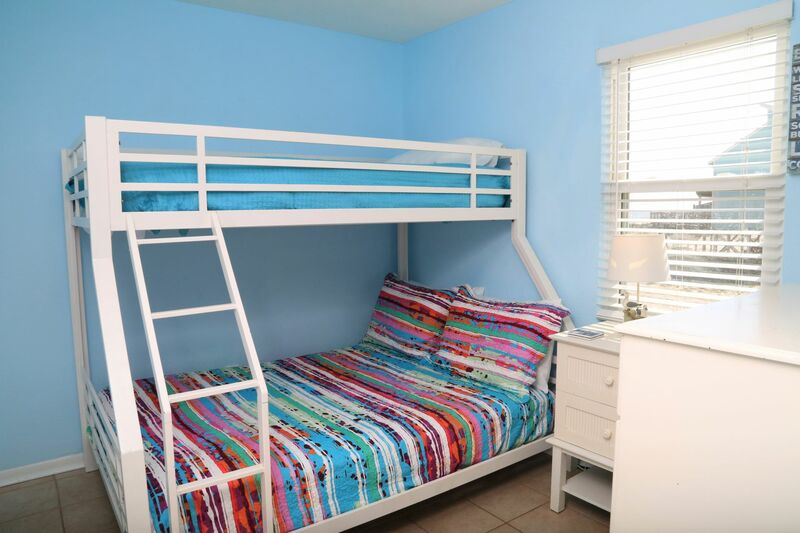 The second bedroom is perfect for kids with a Bunkbed (full/twin). 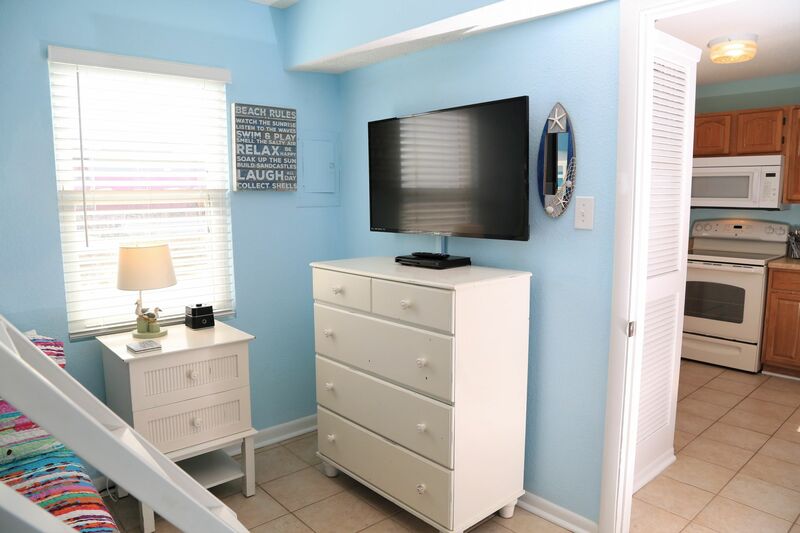 The second bedroom with another Smart TV and bluetooth charging clock/speaker. Great for charging multiple decives! 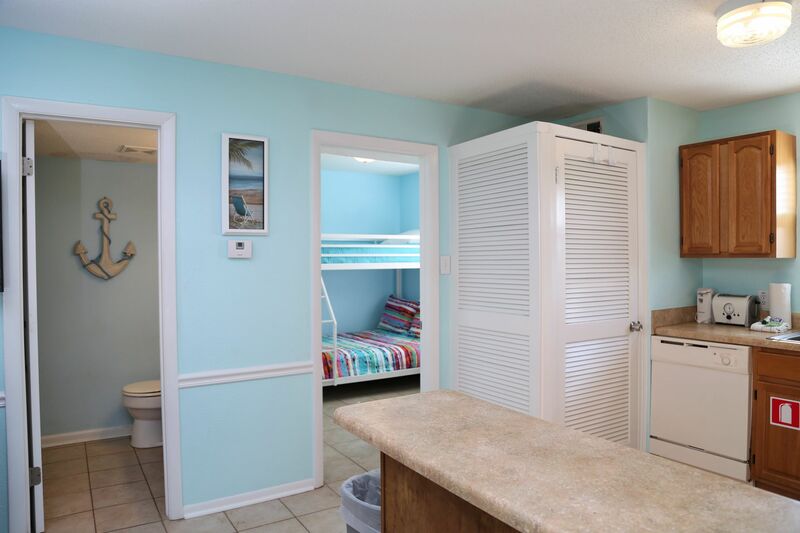 Bunk room includes a closet and dresser for storage. The sleeper sofa includes an upgraded mattress. Stream your favorite shows with the SMART Tv (user account required). 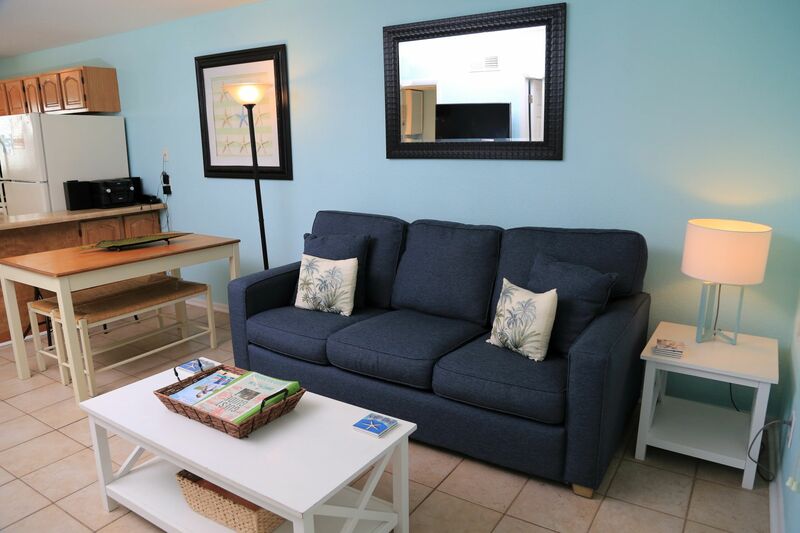 Sunrise Village has the easiest access to the beach!